So I’ve been hanging out in the time of the Judges lately. You know, the end of Joshua’s life when the people of Israel are in the Promised Land but they haven’t totally claimed it…all the way through Samuel’s time before King Saul and King David. It seems like a coincidence: I didn’t plan to do these studies in this order. In most cases they were assigned to me. But in the last few months, I went through a study of 1 Samuel (which starts during the time of the Judges), I taught a class on Judges for School of Ministry, I reviewed a biblical fiction book that takes place at the very beginning of the book of Judges before the “time of the Judges” really starts, and I did this Bible study: Ruth: Redeeming the Darkness. If you didn’t know, the Book of Ruth in the Bible also takes place during the time of the Judges. It was a really neat experience to bring all these different studies together and soak up the historical context, build the bridges to our lives today. But of the books I read or studied, this one wasn’t at the top of my list. 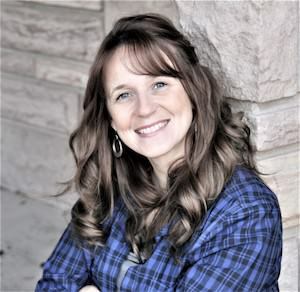 I’m glad I read it – I learned a lot, and I also learned a lot about what I like and don’t like in a Bible study guide that is helping me as I write my own book. But there were some stylistic and structural things that weren’t the best fit in my opinion. I think the author did a great job of setting the stage, reminding us of the setting in Judges and getting us to think about how that relates to our world. Judges says it, Ruth refers to it, this author made sure we got the picture: everyone did what was right in his own eyes. (Sounds a LOT like our culture today!) I also thought that looking at Ruth through the lens of a dramatic production was both clever and fitting. 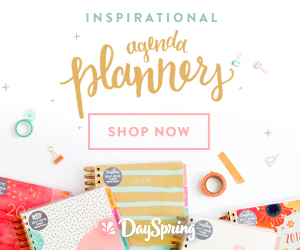 Part of the power of story is that it leaves us room to come to our own conclusions, something that can happen in a personal journaling session or REALLY well if you are doing story with a group like my new Bible study is designed to do. Our temptation as pastors, teachers, and small group leaders can be to deposit the conclusion like cash at the bank. Transactional, one way to look at it. With story, though, we need to leave room for our hearers or readers to question, feel, discover. I felt that sometimes the author gave into that temptation and fed us the conclusions too easily. But this might be a matter of personal preference. 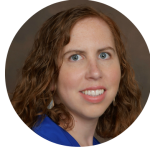 Structurally, it wasn’t really clear what we were supposed to do in a “session” as they are called, or how the study should be used. There are some suggestions at the end of the book, but they still left me a little confused as to how I might do it in a group. On my own, I just plowed through. As Bible students we don’t need to be married to the structure of a Bible study guide, especially studying on our own. But I do think there should be some clear way to go through it so that groups have some organization and individuals have a starting place to create their own plans. Sometimes the author gave commentary before we read the text. It’s good to read background information before you read the text, so you know which century you step into. But someone’s interpretation should come after you and the Holy Spirit have had a chance to talk about it first. Otherwise, you will read the text through the commentator’s interpretation rather than on its own merit. The other pet peeve: there was at least one word study that left you hanging if you didn’t use the ESV. What do I mean? The question instructed readers to read the verse and select this particular word, and then the follow-up study was based on that English word. That English word wasn’t in the first three translations I used. I had no idea what she was talking about. This is a place where we as writers and teachers need to be aware. First, are we grabbing onto something that maybe only exists in one translation? If so, is it really clear from the original language? Yes? Then include the verse text in your book so that if your reader is using a different translation, they know what you are talking about. If not, don’t make that a focal point of your teaching/writing. I have some great tools to go back and do original language study. But your reader might not have that, so she might just stay confused. 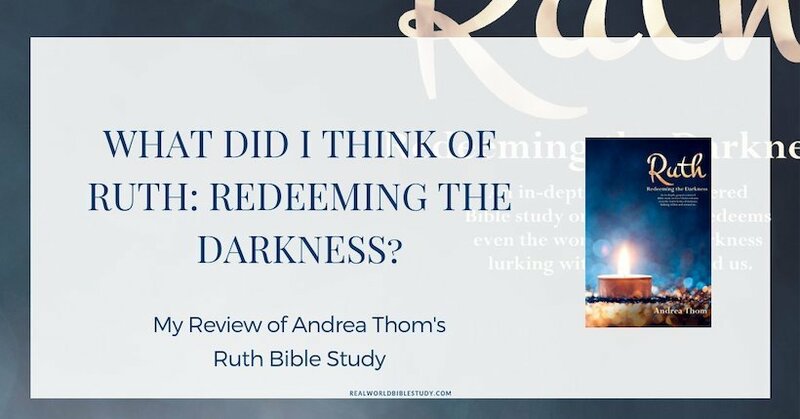 Would I recommend Ruth: Redeeming the Darkness? This is a hard question. For the reasons above, this study wouldn’t be my first choice for Ruth. But there is potential here, and I do think it is a good option. Also, if you’re really into character studies or theater, this might be a great fit for you. 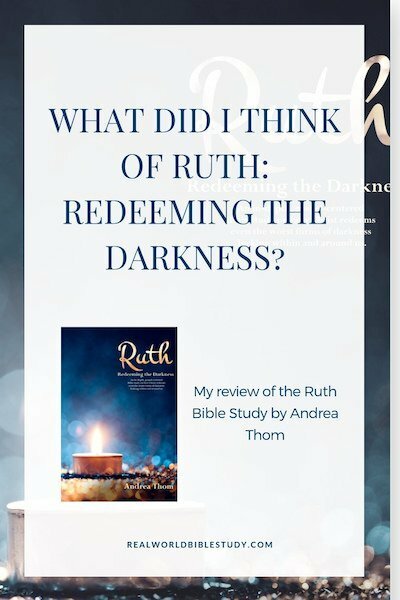 Ruth: Redeeming the Darkness is on tour with Celebrate Lit! Have you ever felt like God has left you? Struggled with feelings of bitterness or doubt? Hopelessness? Ruth’s message is not presented as a five-point sermon but as a spectacular, romantic drama. Its story woos us into relationship with its characters and storyline, yet is also true, living history. 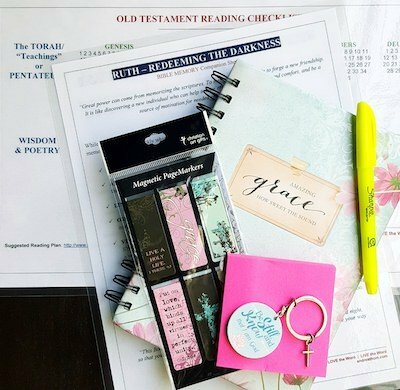 This workbook-style bible study approach tackles important life topics including fractured relationships, all-in Christianity, God`s faithful devotion, and rightly processing bitterness and doubt. 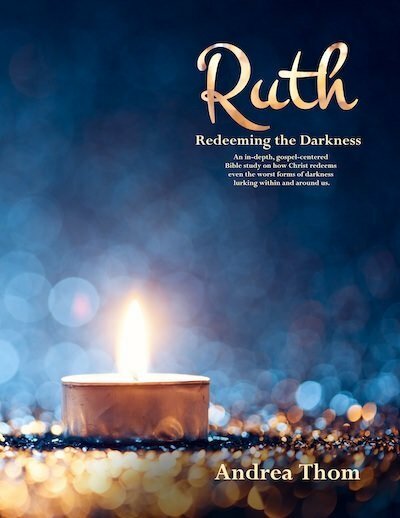 Ruth is unlike any other book of the Bible because words like love story and theatrical are accurate descriptors of its text alongside being historical, and gospel-centred. She’s small enough in her four chapters to rest as a cute hardback on your coffee table, yet profound enough to explode hope and redemption into your darkest pain and everyday frustrations. It is not only magnificent because of its breath-taking storyline between a man and a woman, but because God sovereignly orchestrated and sealed it within the scriptural canon so that we can experience Him as the ultimate lover of our souls.